I've almost cleared all the excess food from the festive season, however there was quarter of a pack of frozen cocktail sausages in the freezer and a can of croissant dough in the fridge which was heading towards it's use by date. 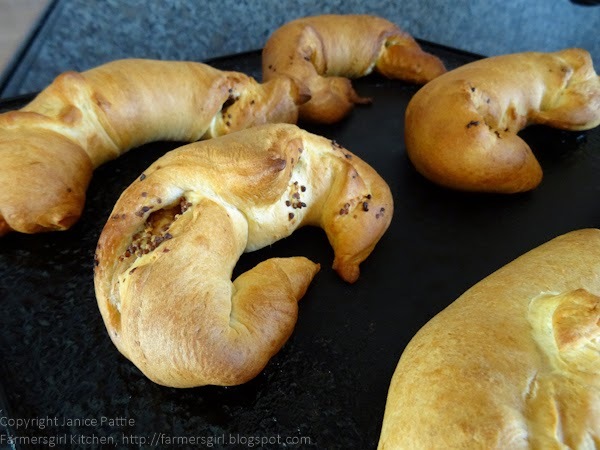 Originally I'd intended to make one of the sausage and croissant rings like the one made by Claire at Foodie Quine. However, my good intentions came to naught and the other can of dough was baked into ordinary croissants. I cooked the cocktail sausages in the oven making sure they were cooked through. I took them out and left them to cool a little. I unrolled the dough and separated the pieces, spread them with grain mustard and rolled up the dough around the sausages (two cocktail sausages per croissant) and baked for 15 minutes until puffed up and browned. 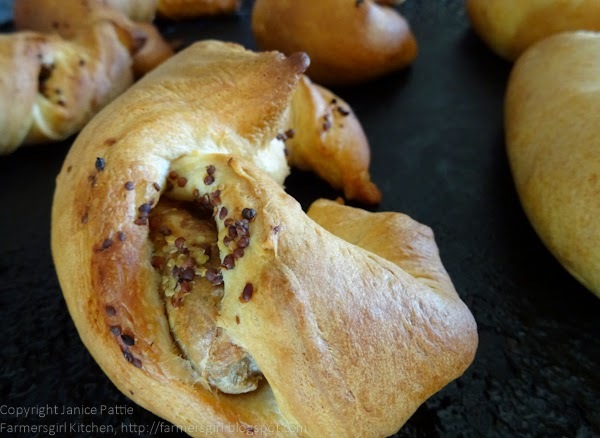 These Sausage Stuffed Croissants are ideal for lunch and would slip nicely into a packed lunch box too. 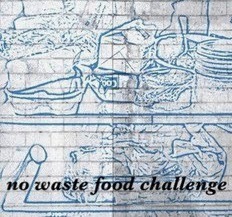 I'm entering this dish for the No Waste Food Challenge originally created by Turquoise Lemons and now being run by Elizabeth at Elizabeth's Kitchen Diary. i love this use of stuff... it could go very wrong but here it seems to have landed in your favour... I think I saw these on facebook last night and i've been dreaming of them ever since... gorgeous idea! You know I have not used that dough for years, always liked the challenge of unwinding those tins! YUM! I have led such a sheltered life, I didn't know you could get croissant dough in tins. I DO have some homemade croissant dough in the freezer though, I just need the croissants! Thanks Dom, I don't think I was in too much danger of it going wrong, just a sausage roll with bread dough after all lol! This is a lovely variation on sausage rolls. I'd never have thought to put sausages in croissants before but I love croissants and bacon for breakfast ocassionally so why not.